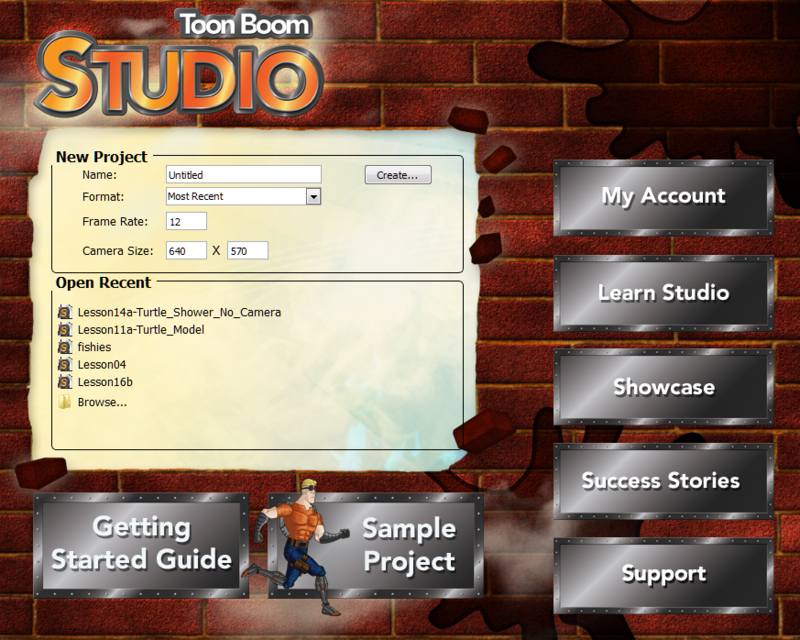 When Toon Boom Studio starts, the Welcome Screen appears. This screen is also accessible once you are inside a project. To display the Welcome Screen from within the application, you must close the current project by selecting File > Close. This command closes the scene which is currently open.